On July 15, 2006, the influential microblogging site Twitter launched. 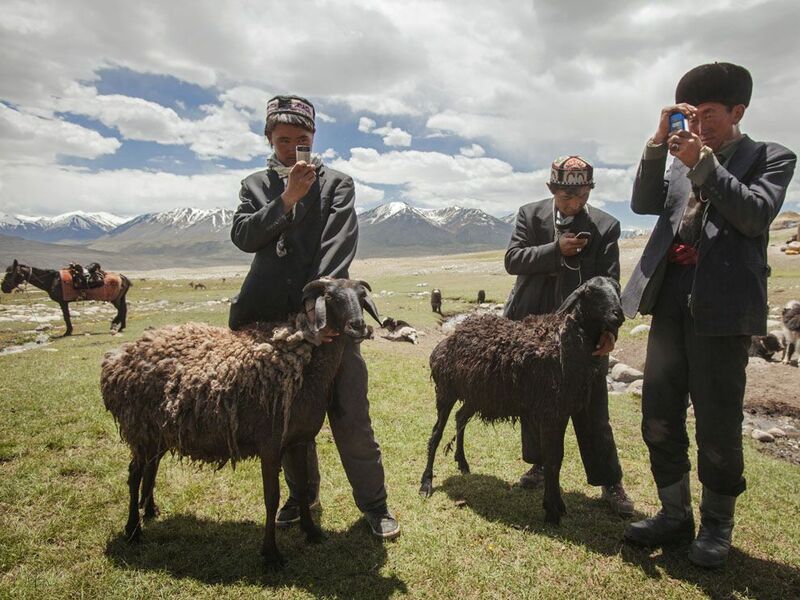 Twitter and other messaging services have allowed populations in remote locations, like these herders in Afghanistan’s Wakhan Corridor, to better communicate, as well as organize politically and economically. Twitter is an up-to-date site for personal messages. More profoundly, it’s a crowdsourcing platform. Twitter has been instrumental in communicating information about political movements (#arabspring), and natural (#haitiearthquake) and man-made (#bostonbombing) disasters. (2010-ongoing) demonstrations and uprisings supporting democracy throughout North Africa and the Middle East. (web log) website that contains online personal reflections, comments, and often hyperlinks provided by the writer. technique that enlists the public to assist with a specialized task. basic computer technology, including both hardware and software, sometimes geared to a specific purpose or application. (short message service) data application that allows short text messaging from one device (such as a cell phone) to another.